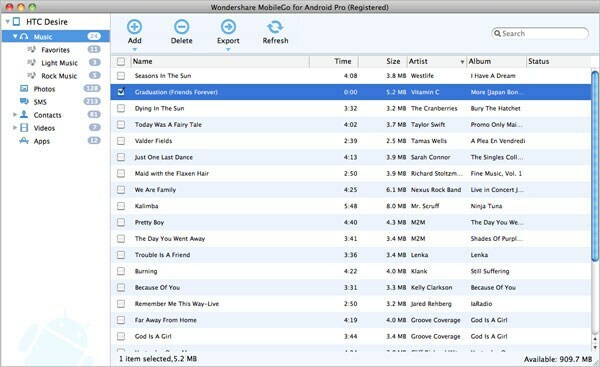 Click on Music in the left column, then click Add to select and import music files from your computer. Or simply select Import iTunes Playlist to add music from your iTune library directly. To export music, simply select the songs you want to export and click Export to save them on your computer's hard disk or iTunes library. Besides importing and exporting music, this little app also allows you to create new playlist, add new folder, delete songs, search songs, set songs as ringtones, play songs, etc. as you like.